In the future, when our home planet is covered in manmade waste, we all might live in climate-controlled, perfectly manicured bio-domes. 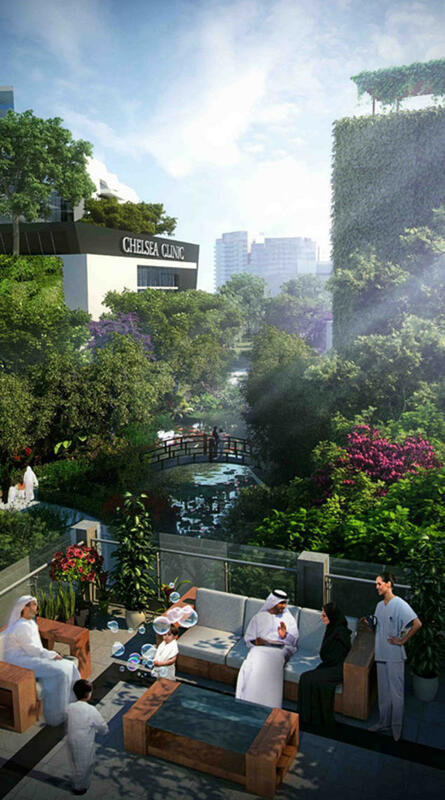 Plans unveiled by developers show intent to build an entire indoor city in Dubai, complete with retractable glass roof in what is being billed as the world’s largest shopping center. It sounds like a sci-fi horror movie, but it probably won’t be much different than what Earth is like in the future. 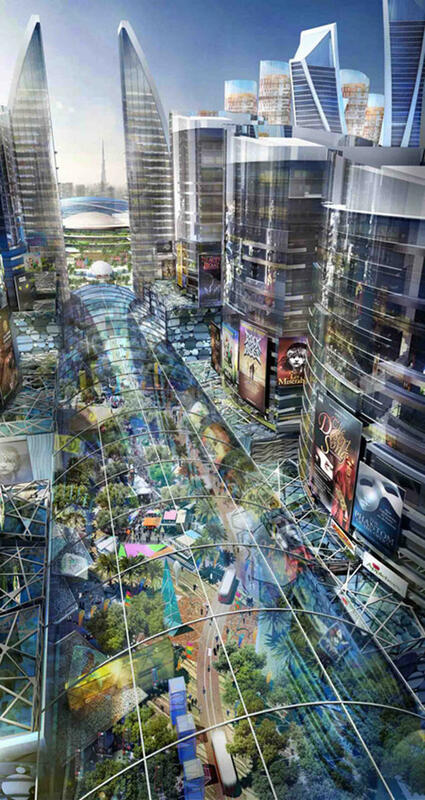 The name of the Atlantis-like city is Mall of the World, and will include over one hundred hotels and serviced apartment buildings. Basically, if you’ve ever dreamt of living in your own perfect utopia, Mall of the World might be it. 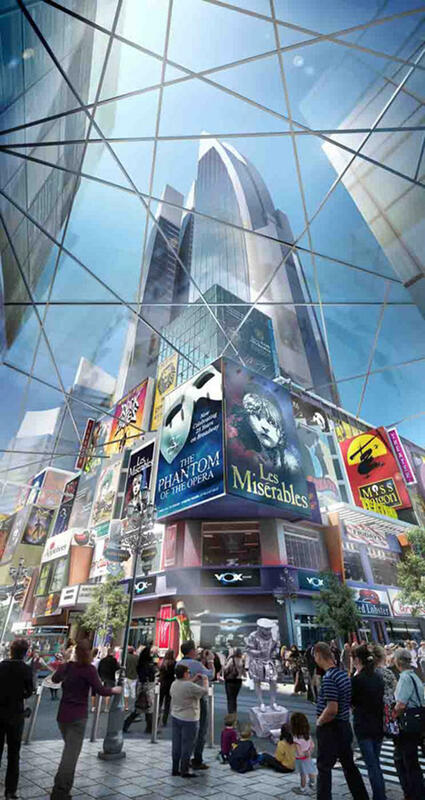 In addition to the hotels and apartments, it’ll also include a 8-million square foot shopping center, along with a theater modeled after London’s West End. 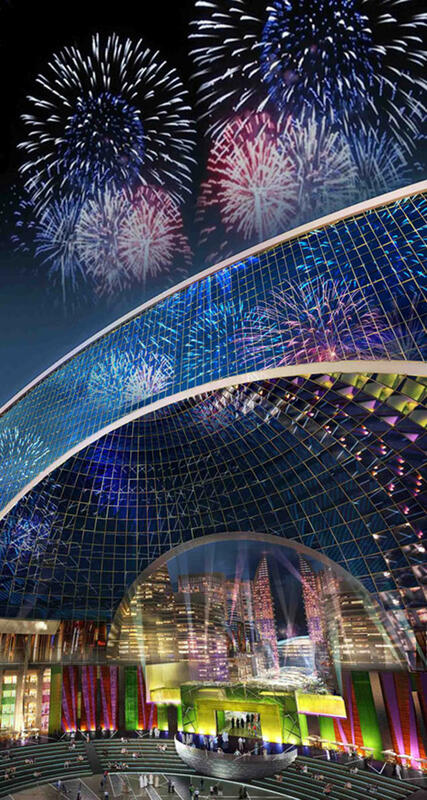 Also included in the real-life snow globe will be a spitting image of New York’s Broadway, and a celebration district modeled after La Rambla in Barcelona. In a place like Mall of the World, you can pretty much ignore whatever it is that plagues the world beyond the surrounding glass, and live in a Big Brother-like state controlling things like your temperature, and probably more. Where will it go from there? A government-controlled climate might sound pleasant, but what if the temperature is cranked up? See? Horror movie material. But the renders sure look nice! 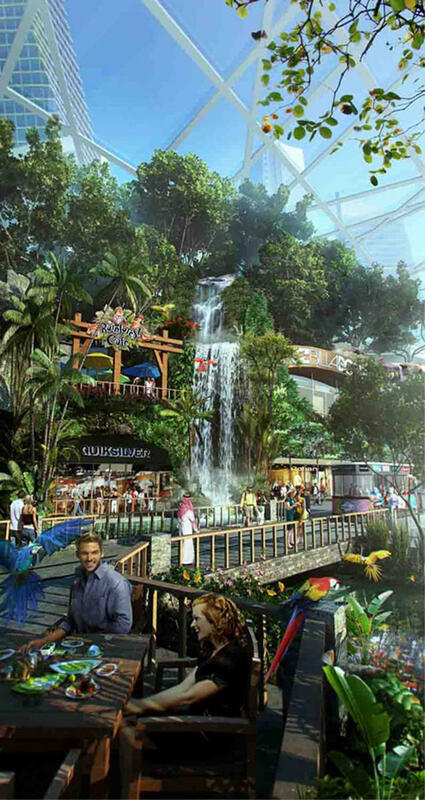 In addition, Mall of the World will also include a theme park, 3-million square foot “wellness district, and pretty much anything else you’d expect in an enclosed paradise. No deadline has been set just yet. But just imagine: the next home you live in might be under a climate-controlled dome. I just hope they let people leave once they’re in. Developers expect Mall of the World to host over 180 million visitors annually.